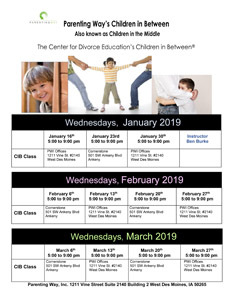 Please call 515-255-9490 or email info@parentingway.org to register for Parenting Classes and receive additional information! 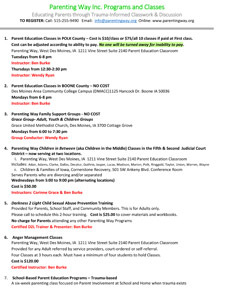 New Parenting Class beginning in Boone, IA located at the DMACC Boone Campus. Start date will be announced very soon! This Class is generously supported by the United Way of Boone County! Children In Between must be paid for in advance of the class. Credit or debit card numbers can be taken over the phone, in person AND NOW SECURELY ONLINE RIGHT FROM THIS WEB SITE! Cash may also be paid in our office prior to the class date. Please call before dropping off money. We do not accept checks. Thank you. Parenting Class Fees are now $75.00 for all ten classes. Fee can be paid one time or in installments. Extreme financial hardship will be considered if you are court-ordered and unable to pay. 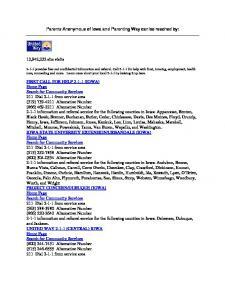 Please consult with your DHS Caseworker to see if payment can be arranged for you. NO ONE WILL BE TURNED AWAY FOR INABILITY TO PAY. We accept debit, credit card, check or cash. You can pay online when you register or in person if you register by phone at the first class. NEW Children in Between Class (Children in the Middle) begins in Ankeny, IA on November 14th at 5:00 PM located at Cornerstone Recovery, 501 SW Ankeny Rd. You will now have two options � West Des Moines and Ankeny. Fee remains at $50.00. We serve the 5th and 2nd Judicial Districts. Parenting Way, Inc. is a non-profit human service organization that provides parents with expert education and advocacy to build healthy families and strengthen parent and child relationships. 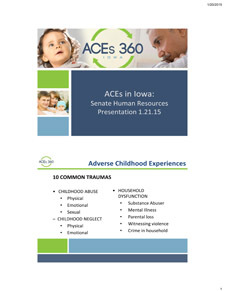 Additional Family Service Programs and Parent Education Programs in Sioux City, Cedar Rapids and in planning in Waterloo. For more details on these classes, click here.